If you are looking for an exquisite dress in which to feel comfortable and feminine, this cape dress is the right choice. 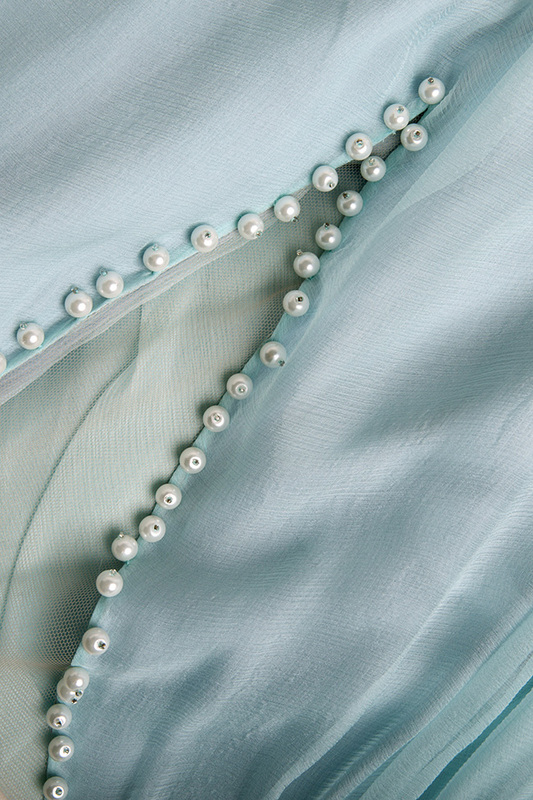 Flawless and sophisticated, this piece is crafted from smooth silk and it's embellished with pearls. Wear it with you favorite high-heeled sandals.